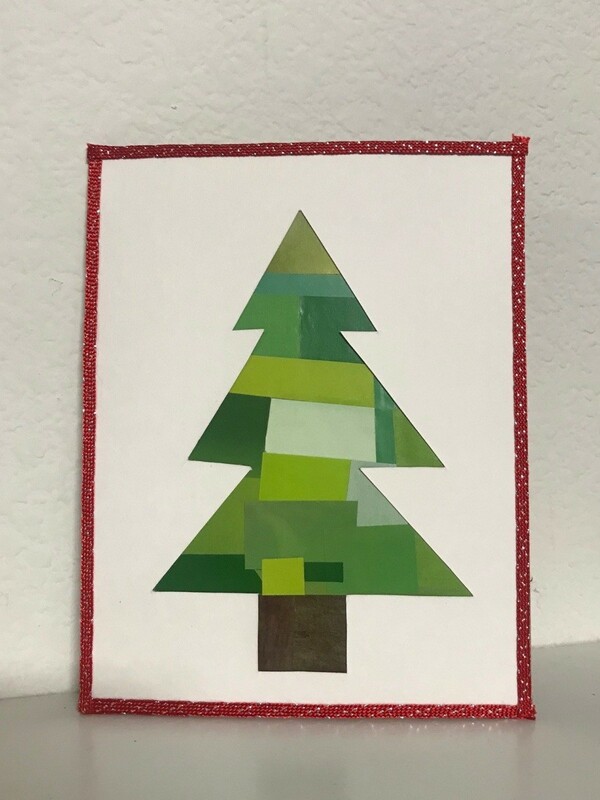 When making your Christmas cards this season consider using recycled materials, such as magazine pages, leftover craft or scrapbook paper, fabric, or whatever you have on hand. 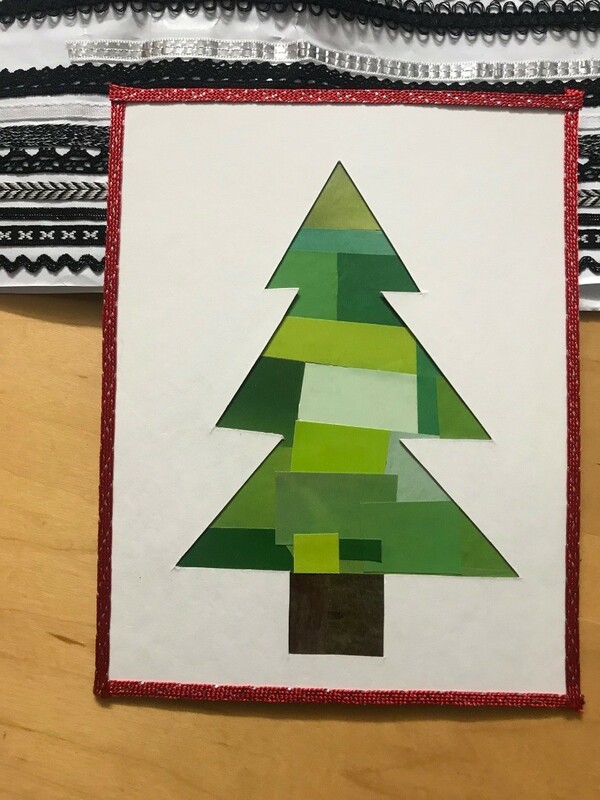 Not only will you have a unique card, but you will be actively recycling. 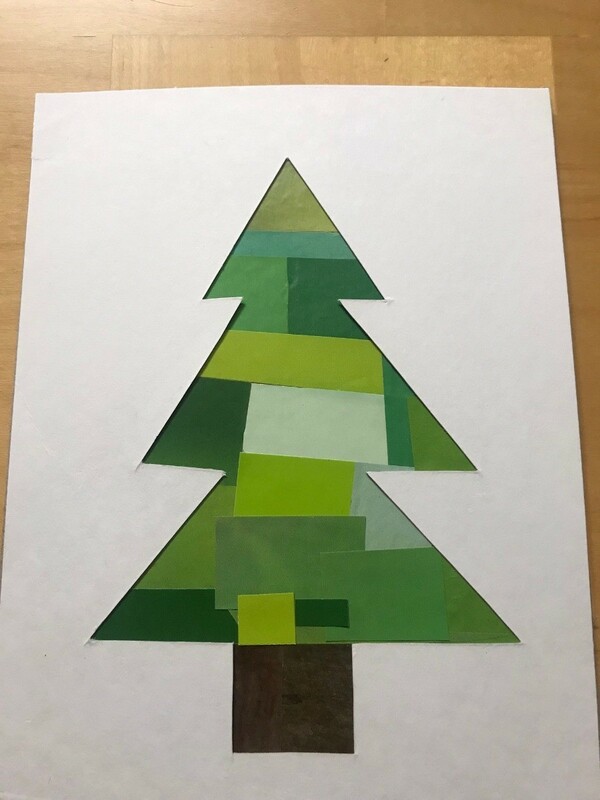 This is a guide about making Christmas cards with recycled materials. 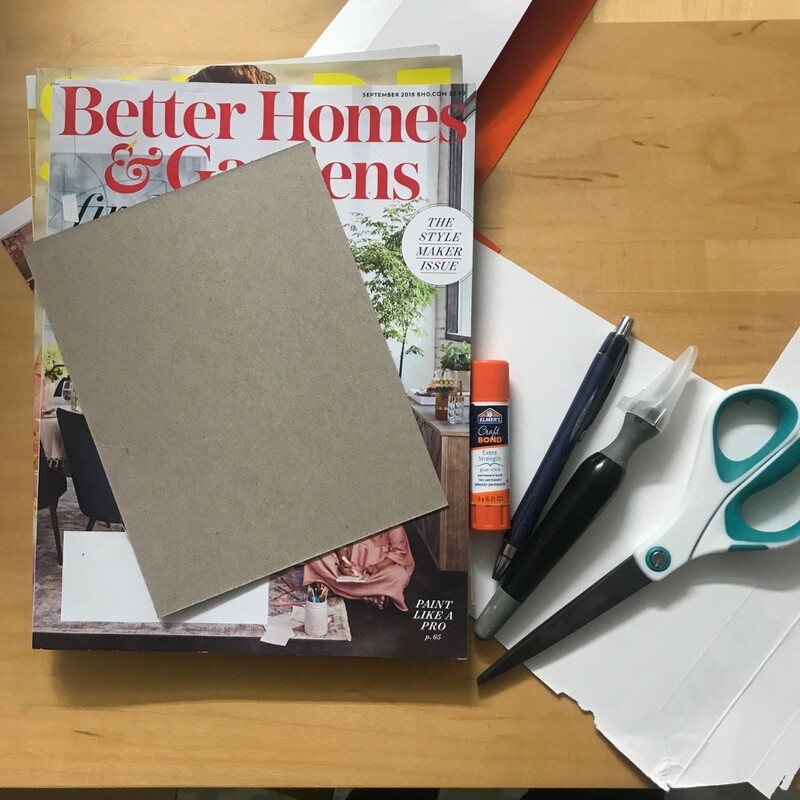 Here is another great way to recycle any old magazines and cardboard packaging you have into holiday cards. 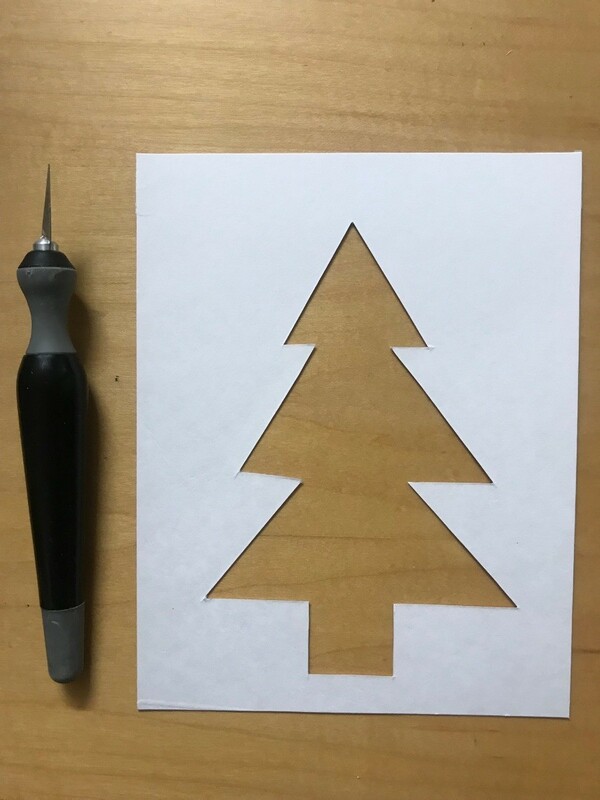 You can apply this same concept with any shape cut out for any card occasion too, like for Thanksgiving, birthdays, etc. 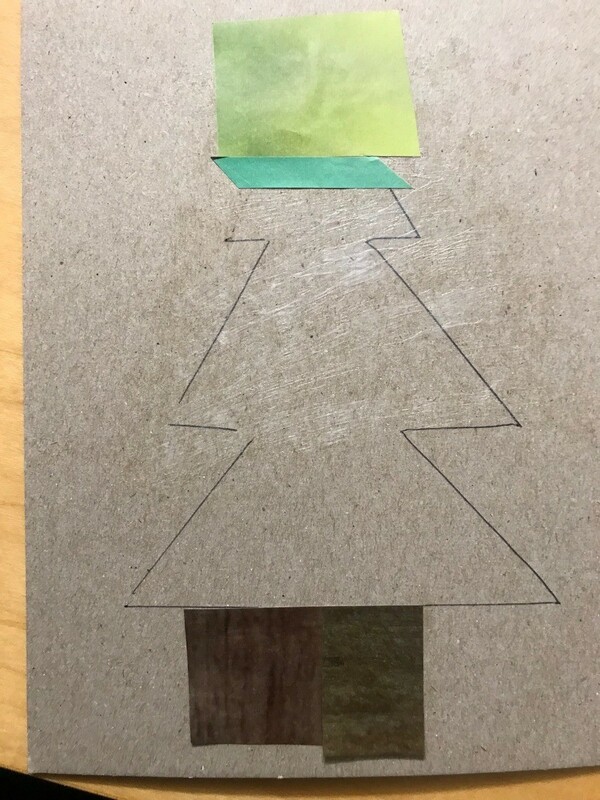 Use any cardboard piece as the base for your card. 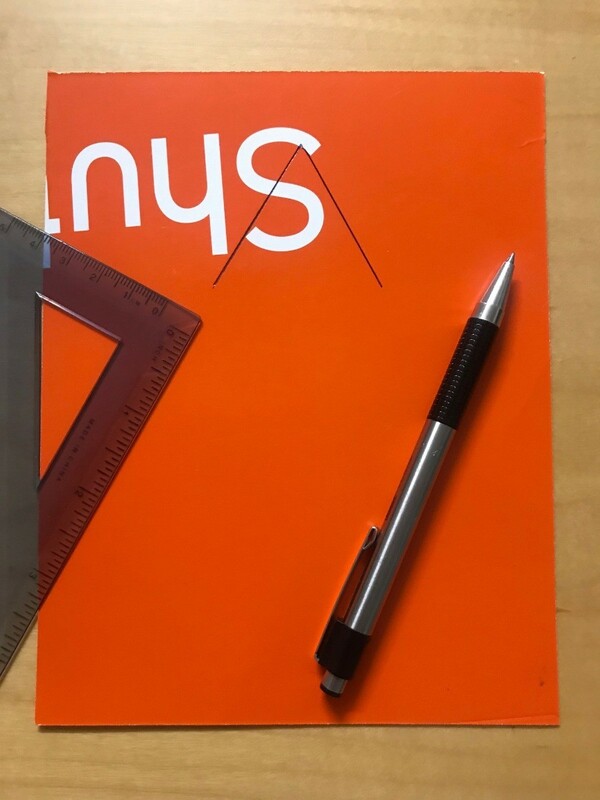 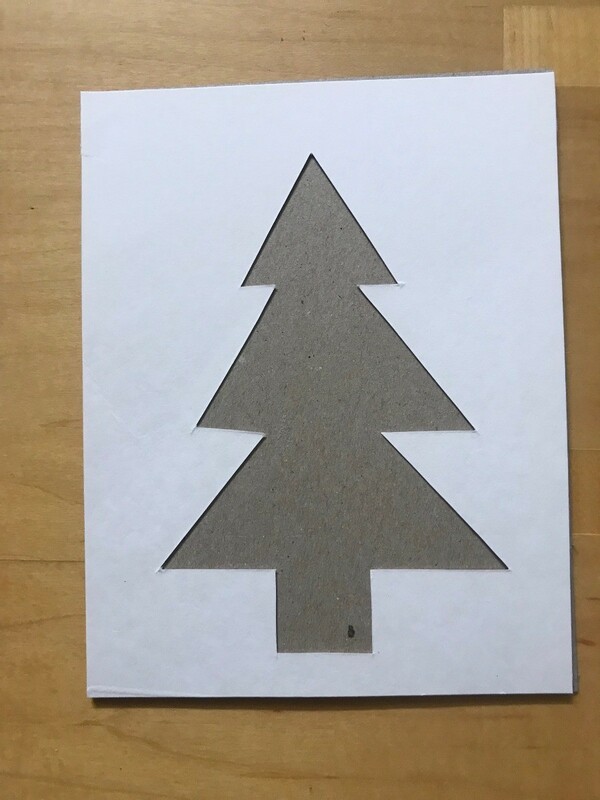 My card measures 7 inch by 5.5 inch or you can cut to the size of your liking. 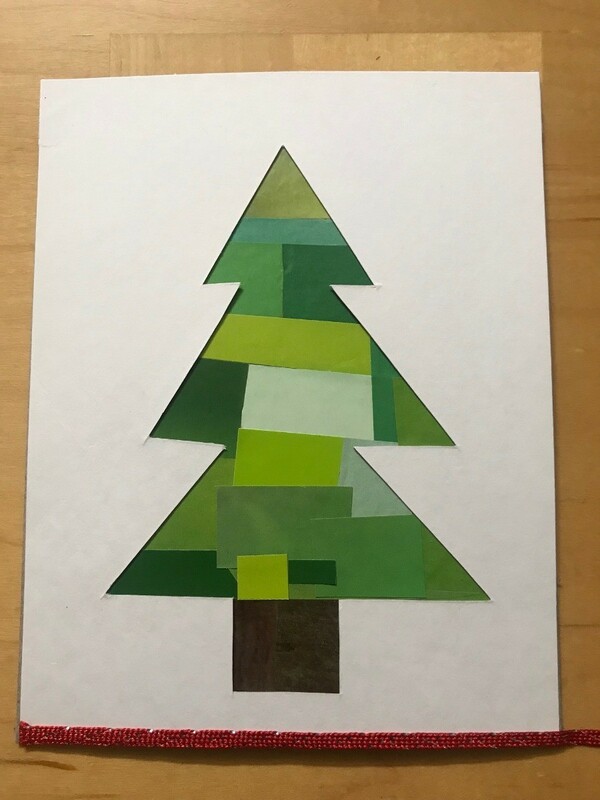 Using any cardboard scraps you may have, trace and cut so you have two even cardboard pieces for your card. 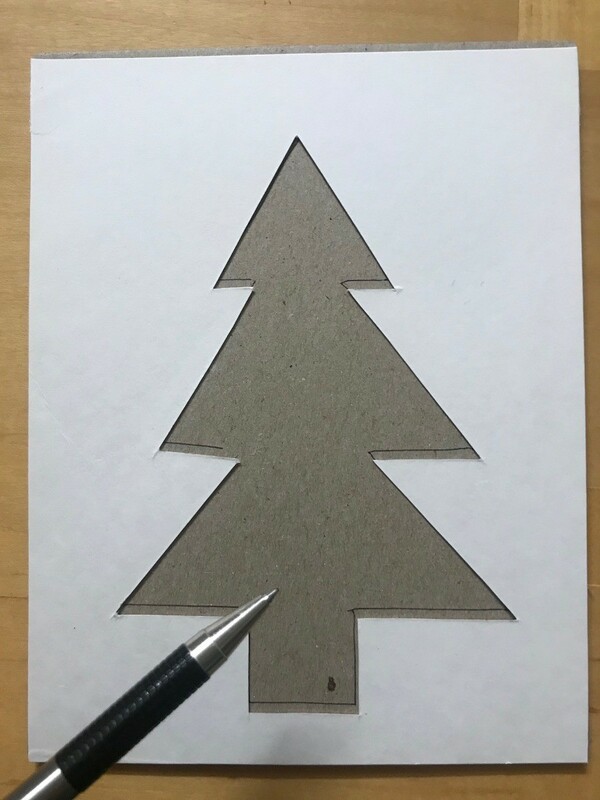 Using the thinner cardboard piece with blank white on the front, I flipped it over and freehand drew a Christmas tree with a pen and ruler. 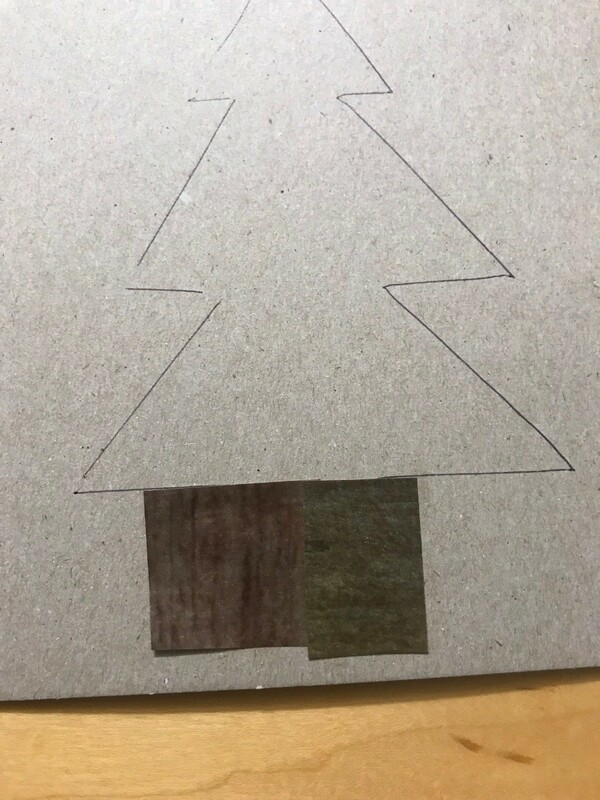 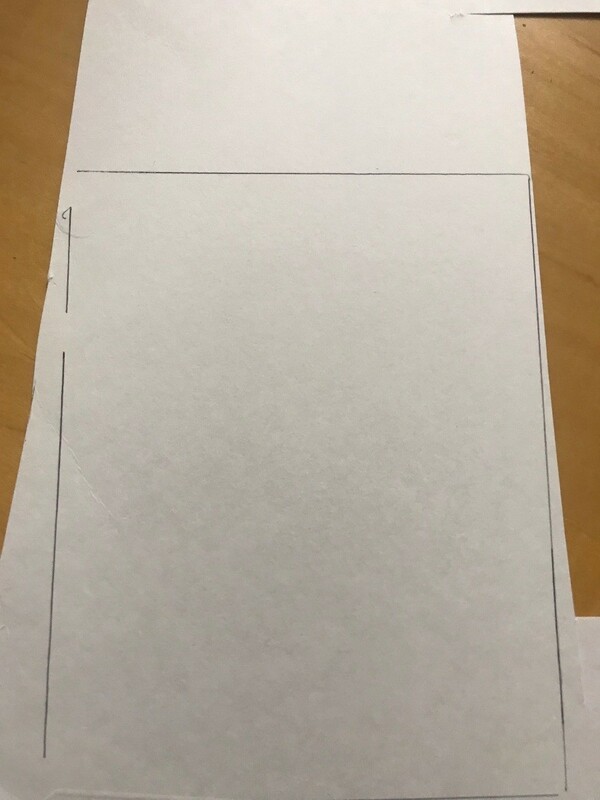 Now set the Christmas tree template over the cardboard. 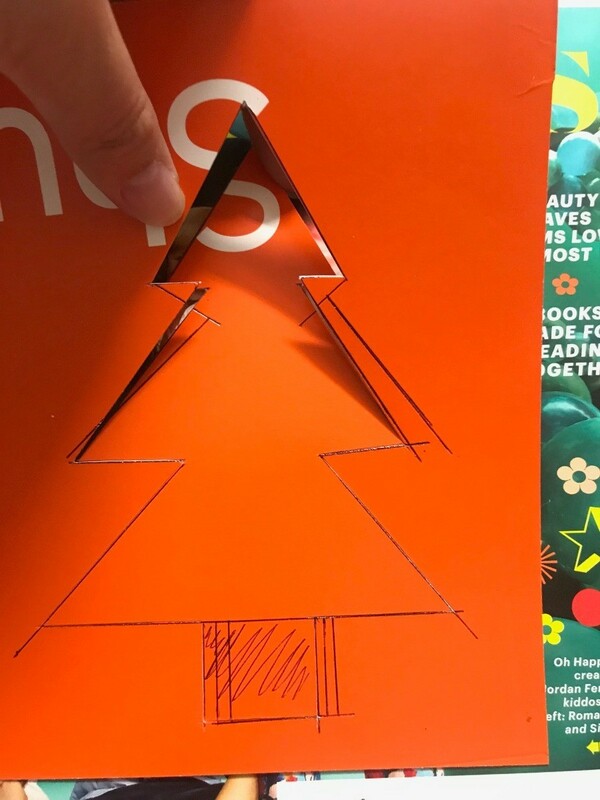 Using your pen trace the inside of the Christmas tree. 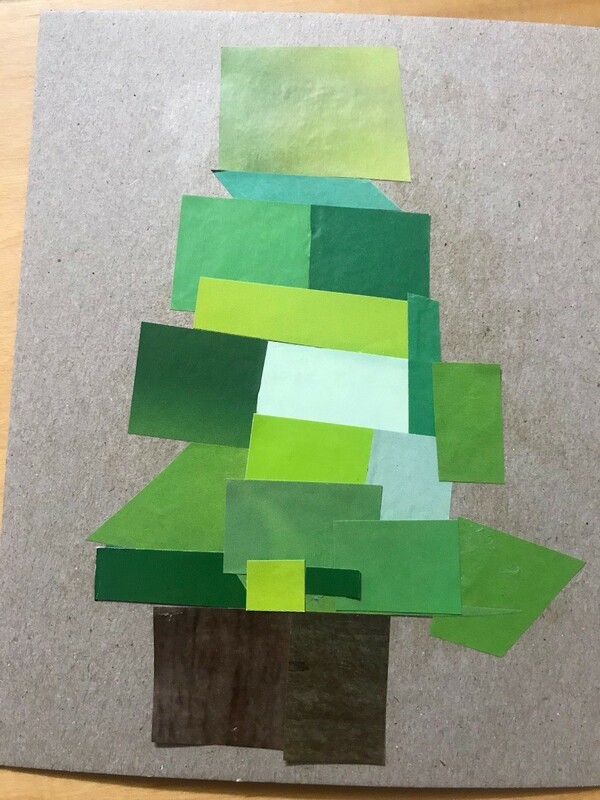 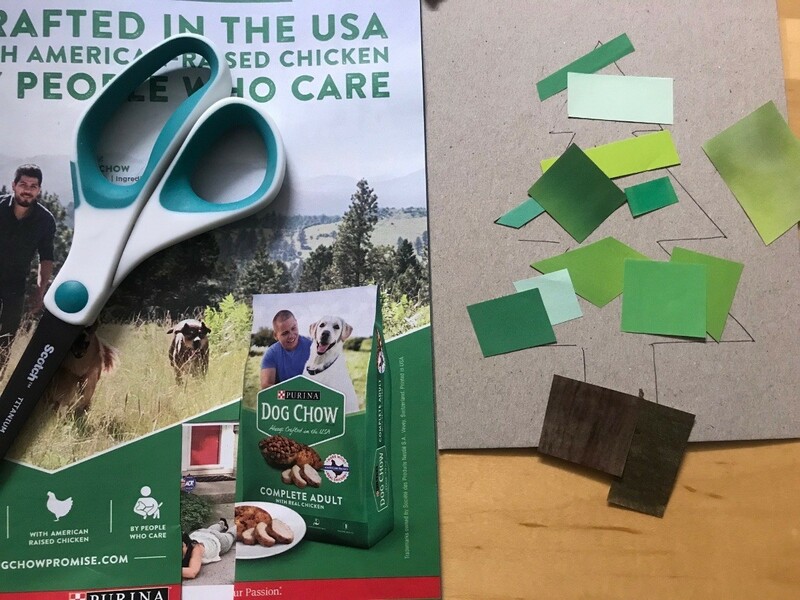 Flip through magazines and clip out assorted shades and sizes of green paper for the tree and brown for the tree's trunk. 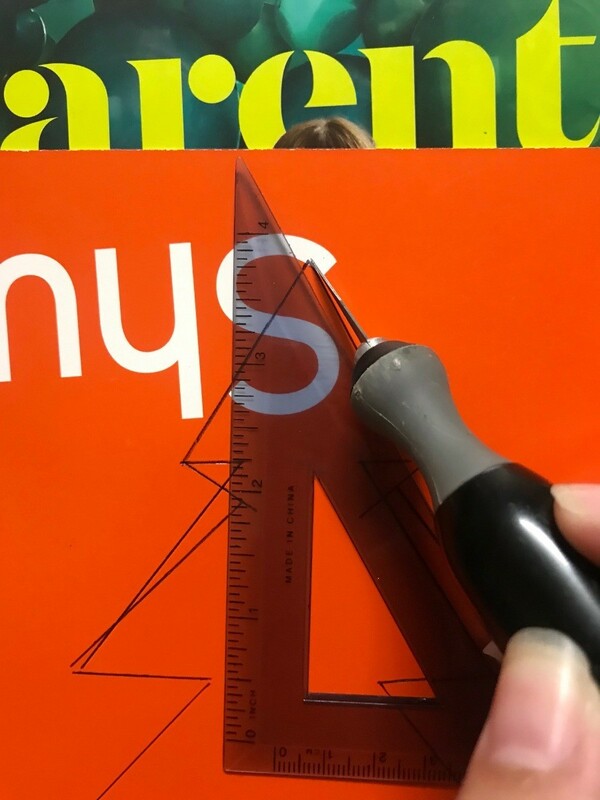 You are now ready to glue down magazine clippings over the Christmas tree shape on the cardboard. 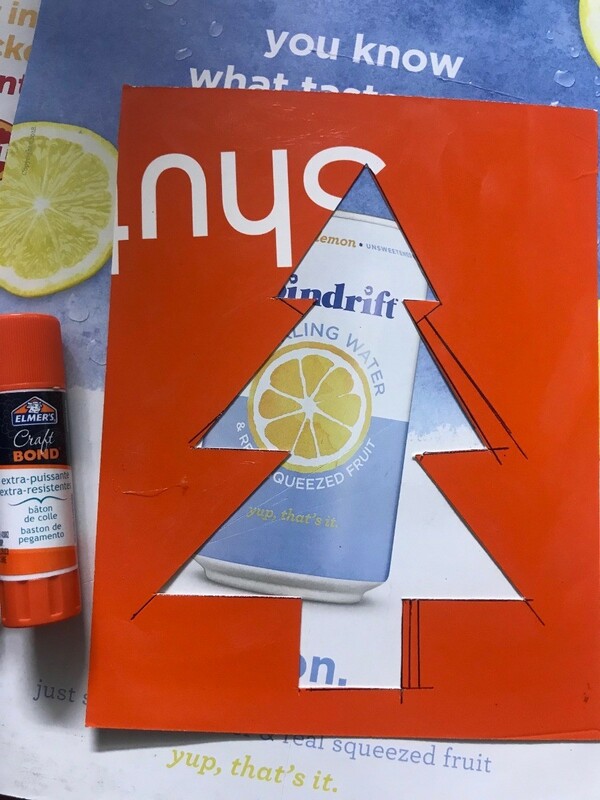 Now glue down the Christmas template over the magazine clippings. 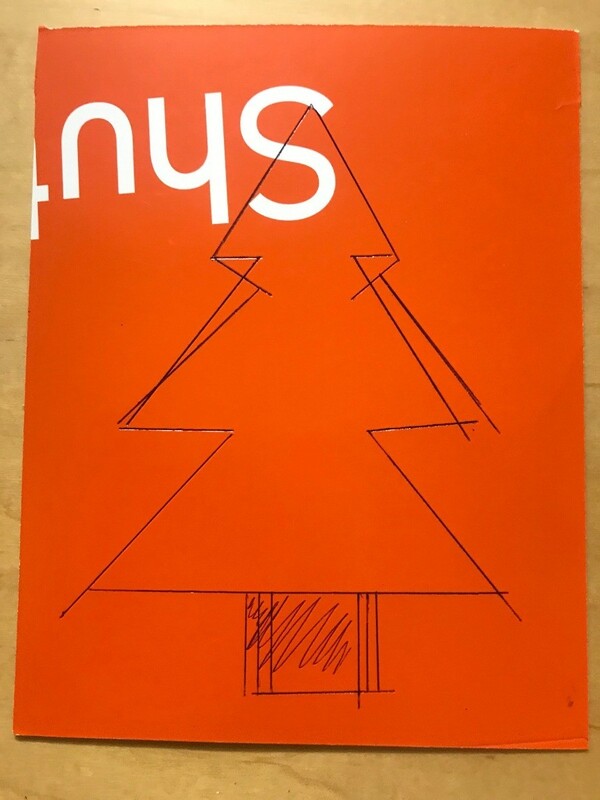 Optional: You can decorate your tree or leave it plain. I like it plain and sleek and decorated the edge of the card with ribbon sticker. 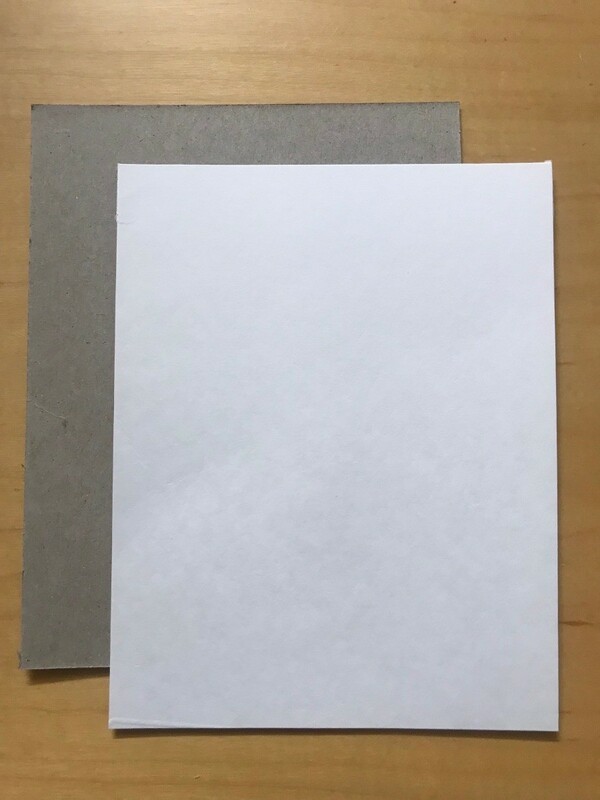 On the back of the card you can write your message (or on the front in the blank areas, option is yours).